Growing up with a Korean mom exposed me to some amazing cultural food that I think a lot of people would love if they tried it. I know I converted my husband to loving Korean food! 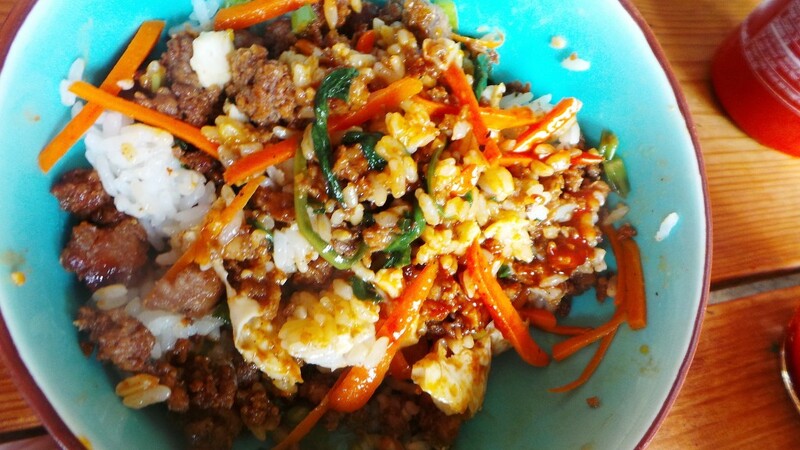 The great thing about Korean food such as this Korean Beef Bowl is that it is typically healthy and especially yummy. In addition most of the ingredients used are often found at your local grocery store. This Korean Beef Bowl is a play on bibimbap (rice and veggie mix) and bulgogi, a flash-grilled meat dish. 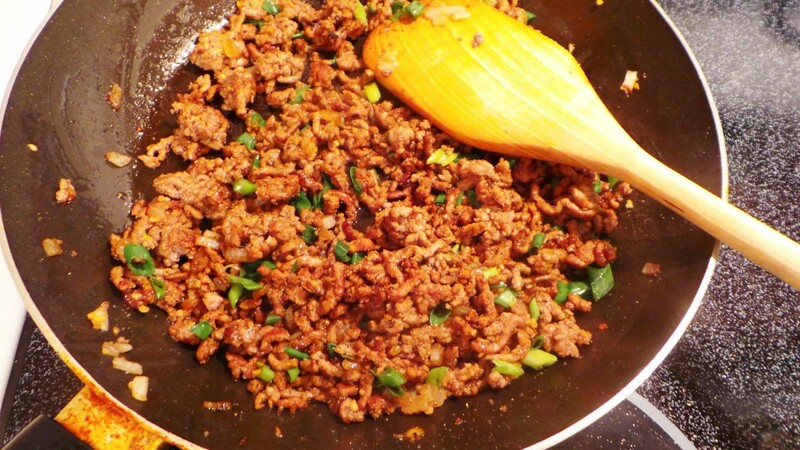 What is great is that if you are short on time and/or money this dish keeps it pretty fast and cost effective by using ground beef instead of the usual cuts of beef like steak. It is also a fantastic dinner choice because you can throw in whatever vegetables are available in your kitchen. Brown the ground beef with the vegetable oil then after draining the oil add in the soy sauce, sesame oil, brown sugar, carrots, 1/2 the green onions, and salt and pepper. Let simmer for a few minutes then pour into a bowl over white or brown rice and the rest of the green onions to garnish. That’s it! Here we added a fried egg on top and some kochujang. If you’d like to make this spicier you can simply add crushed red pepper flakes, but I like to add kochujang, which you can find at many Asian markets. Kochujang is a Korean red chili pepper paste found at most Asian markets and if you add it I would recommend to also add a bit of water to the beef as the kochujang can be pretty thick. 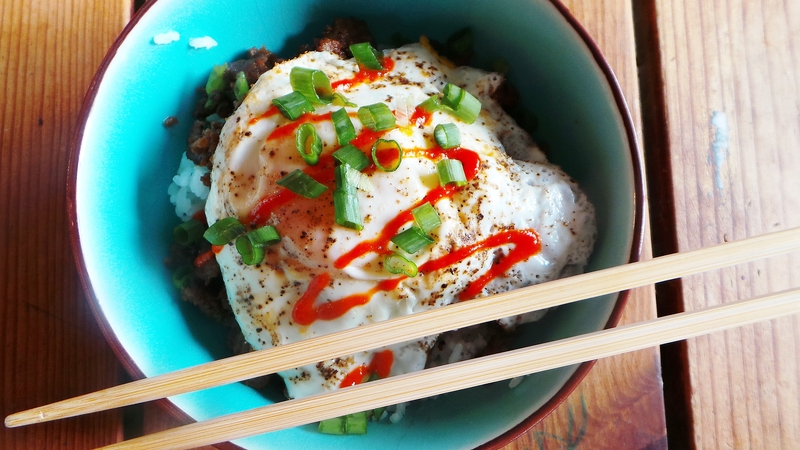 If you are familiar with bibimbap you can add a fried egg on top. We love eating it like this! If you are a ginger fan you can put some of that in here too, however I personally do not like ginger (don’t tell my mom!) so I typically do not add it to my dishes. This Korean Beef Bowl is one of our staple dishes and is so easy and simple. 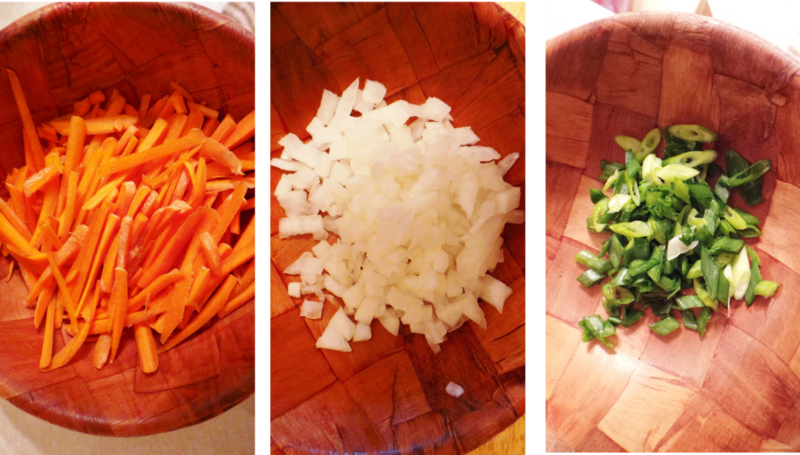 I love that I can use up whatever vegetables I have in the kitchen for this weeknight favorite. Here it is all mixed up and ready to be eaten! What dishes do you default to when short on time? How else could you use this dish if not as a bowl or lettuce wrap? Food food, Korean, recipe. permalink. 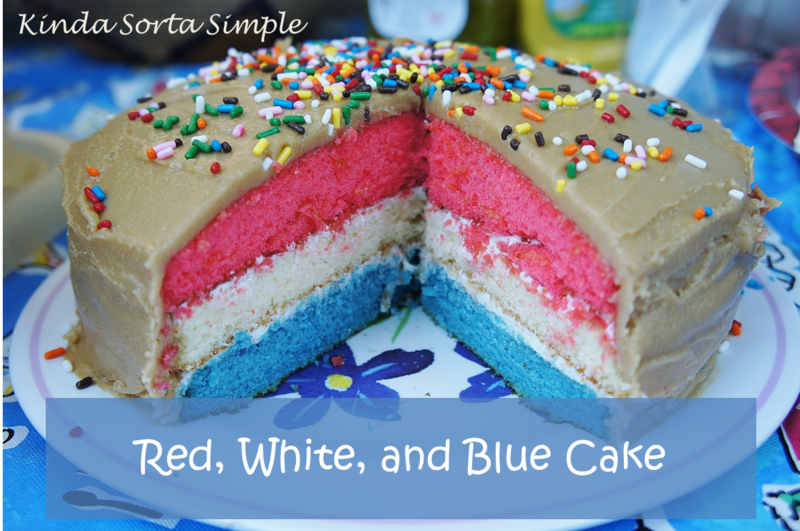 My family loved this! They loved all the different options/toppings to make it their own. Super quick prep and simple to cook. Thanks for the great new go to family meal!